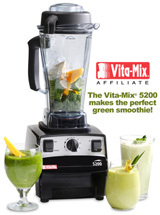 I’ve been using my Vita-Mix a lot lately for more than just green smoothies…soups, dressings, puddings…and to make THIS MOST AMAZING RECIPE!! I really don’t even have words for how much I love this. I was thinking that I would make it for Bella because she is cheese obsessed. So, I poured it over some quinoa noodles and she didn’t even realize it wasn’t “real” cheese. I was thrilled that she liked it so much. And then I became a woman obsessed. I dipped flax crackers in it. I dipped red peppers in it. I put it in my salad. I plan on spreading it in a nori roll. It’s just that good. If you don’t make this, you’re crazy. Blend all ingredients until creamy (a high powered blender works the best…but if you have a regular blender, just blend it for a long time. It should be completely smooth). Add more water if it is too thick. My husband loves sauces like this. Will give it a try! I certainly don’t want to be crazy, so I’m off to the Farmer’s Market for a red pepper 🙂 Thanks so much for your post on chia. I LOVE IT! You’re just a wealth of information, mama. Nutritional yeast = yay! Any other thoughts/info/recipes on nutritional yeast? My mom stirred some into our juice almost every morning when we were little, supposedly so the mosquitos wouldn’t bit us. I still swear that when I drink juice with nutritional yeast in the summer, I don’t get bitten by mosquitos! (Takes about 3-4 days in a row before I build up whatever it is, though. I can’t just drink some juice and NY right before I go outside, darn it anyway!) But juice is really the only thing I know what to do with it. Mmmm, yum, this is my favorite raw cheese recipe. Love it!! We’ll sometimes take it a step further, and spread a light layer on a teflex sheet and dehydrate it for a couple of hours. When firm, break them into squares, and viola… cheese slices. SO GOOD!!! This is coming from a home grown, born and raised Wisconsinite Cheese Head! lol. I put a red pepper and tahini on my list…we’ll see if I can find the nutritional yeast too. what does it do to the sauce? A little more water, pieces/cubed veggies, and that’s my favorite soup. Yum! We’re eating this right now…so good! I didn’t have tahini or nutritional yeast but it’s still fabulous! Right now I’m eating raw until dinner. Quart of green smoothy for breakfast & a large veggie salad for lunch. Then I eat a healthy cooked dinner. Tonight I had an Ezekiel sprouted grain english muffin topped with lightly steamed spinach, farm fresh eggs (a friend of mine has chickens 🙂 ) and this raw cheddar cheese sauce. It was amazing!!! I’ll be using this sauce for everything! I’m a little late to the party here :-), but I made this sauce last night and it is DEVINE! I’ll be adding it to my regular rotation. Even my daughter loved it and she doesn’t like red peppers at all. Thanks for sharing! Tahini is sesame seed butter. It’s often used in hummus and Greek foods. Anna Posted on Wish I could have gone with you guys. I always want to look back at Hunter and then I aosmlt fall over. Typical me LOVE these pictures of the ride. This sauce is almost too delicious for words. Wow! No, really: WOW. It totally tastes like what I remember cheesiness tasting like. My variations: I used an avocado instead of the cashews and added 1/4 teaspoon turmeric for color. I mixed it all up with kelp noodles, broccoli, shiitake mushrooms, onion, red peppers, spinach, tomatoes, zucchini, cauliflower, green peas and cabbage. My only complaint is that I am now a cow and thus have only one stomach…would definitely go back for a second plate if I had more room! This is such an awesome recipe! I make it all the time and we use it as a dip, salad dressing, over nachos and pasta. I even added steamed broccoli and bone broth to make cream of broccoli soup! I just shared it on my FB page! The nutritional great things about limes usually do not differ quite definitely from the ones from lemons. plus the brilliant phytochemical, limonene. enzymes this detoxify cancer causing carcinogens. Juicing with an abundance of citrus fruits and vegetables can help you conquer this. will never make my top 100 avorite flavors list. eating habits. Since beet skins are very bitter, iit iss wise to peel beets before juicing. Symptoms wiull contiinue until your digestive system gets used to your new eating habits. starting to feel the negative effects of your age, starting a juicing habit can make you feel younger.